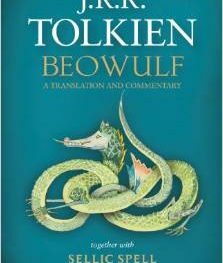 Gain an understanding of Tolkien's personal reactions to the Beowulf poem, as well as his criticism of it. In January 2017, Signum University is pleased to welcome back Dr. Tom Shippey for a special, three-part series on J.R.R. Tolkien’s translation of Beowulf, originally published in 2014. As one of the world’s leading experts in both Tolkien Studies and philology, Dr. Shippey’s insights on the intersection of these topics are always much appreciated. Tolkien’s involvement with the poem Beowulf was lifelong, yet much of his thinking has been revealed only recently, in the translation and commentary published in 2014, along with his story “Sellic Spell.” This, together with the 1982 publication of Finn and Hengest – as well as Michael Drout’s edition of the early drafts of Tolkien’s famous 1936 lecture – make it clear that Tolkien did not fully reveal his opinions on the poem in 1936, and indeed disguised them. These three seminars will go beyond the familiar statements of 1936 to try to reach Tolkien’s personal reactions to the poem, and the criticism of it. NOTE: Due to an issue during the Jan. 26th seminar, a make-up session has been scheduled for Thursday, February 2, 2017, 4pm – 5:30pm EST. Join us on Thursdays from 4 – 5:30 pm EST.